Saturday, December 1st @ The VFW in Thermopolis! Thermopolis! We’re coming back to the Thermop VFW Saturday, December 1st! 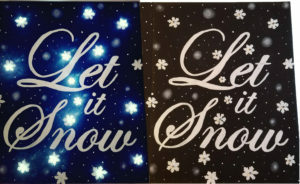 We’ll be painting “Big Red” from 6:00PM – 8:30PM, with our LED light accented “Let it Snow” painting as a second option! 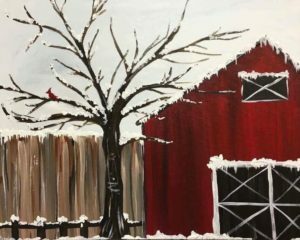 Your $35 ticket includes: 2 hours of painting • 16 x 20 stretched canvases to take home • Your own easel to work on • Paint, brushes and aprons • Help from the artist so you can go home loving your new piece!• Great drink options! • Great Music! © 2019 Wyoming Paint and Create!. All Rights Reserved.